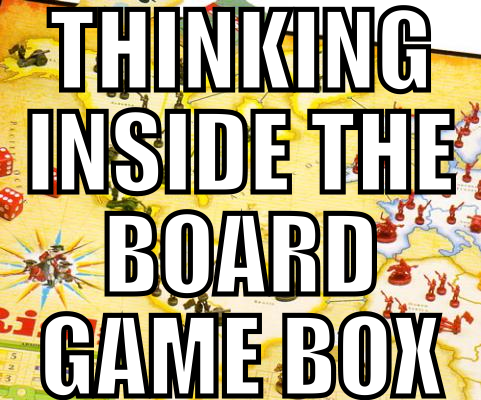 I read an article the other day called “How To Teach Someone A Board Game“. It is a simple, short article; but I think if we borrowed the tips from this article we could teach our ministry volunteers faster, with less mistakes, and with a win for everyone in the end. Whatever I am going to teach (a hobby, a sport, etc. ), I have a model, the equipment, etc. ready so the person I am teaching can get their hands dirty with it. I think teaching ministry principles should be the same way. When I am teaching our volunteers I try to make sure everyone has the right equipment, the handbook, the technology, the map, whatever they need to be successful. Having what they need, when they need it, cuts down on wasted time, energy, and frustration. If I’ve missed any step in teaching/training process, I think it is defining the win off the bat. I may include it in my talk but defining the win early gets people think about the reward and the process of how they could do what I have asked them to do. I have worked in many churches and if they had told me what the win was (numbers, number of salvations, number of disciples in process, etc) it would have saved a ton of time and I may possibly have turned down some jobs if they could not articulate what winning was. If we are teaching someone chess we have to teach how each of the pieces move, what is a check, and what is check mate. Details matter. I don’t think I spend enough time succinctly explaining how something works especially if it has a lot of moving parts. I can get wordy and enamored with the process instead of doing a proper walk through. I was recently training some young adults to do middle school ministry and I shared how we will take the kids up stairs so I took them upstairs, I showed them how the room would be set up, etc. I had one young man who was supposed to lead the lesson that night and I i thought I had explained well enough how he should do it. He shared one verse of scripture and he was done. No kidding. Next time I will let him do the lesson with just me first and walk him through it. It’s simple. The more you play something the better, or least the more familiar, you become with it. My son and I play a rules heavy game called Warahammer (the rule book is huge) and I don’t play it enough to be any good at it because I keep forgetting the rules. If I want my youth ministry volunteers to be any good at anything I have to let them play it enough to get good at it. Just like playing a game with missing pieces is no fun, trying to do the ministry asked of you with missing instructions or tools is no fun either. Let’s try lightening the load and focus on a process that empowers instead of frustrates. Would you say your method of teaching someone to do something in your youth ministry is simple? Too complicated? How to fulfill their role. Have you told them what the win is? Have you showed them how to achieve the win? Tell me, do any of your processes need a little streamlining? Which ones? Let me know what you think about board game style training in the comments below or if you need help in training your team, I can help.